CALGARY, CANADA (January 13, 2019) Nicole Vogt (shown right), along with sled mate Nicole Brungardt, took the bronze medal in the women’s two-person bobsled at the North American Cup Final in Calgary, Canada on Saturday, January 12, 2019. After being disqualified for failing to finish in their first race yesterday (on January 11), they returned for the final competition run on Saturday, posting a two-run total of 1:56.73 (58.13, 58.60) to secure the bronze medal. Vogt, who calls Dallas, Texas home, and Brungardt started their Friday races with a start time of 5.84 seconds. Vogt drove the across the finish line with the time of 57.65 seconds, which was the second-best time of the heat. Vogt and Brungardt powered the sled to a 5.80-second start time in run two, however, a mistake caused the sled to flip and as a result, they were disqualified. Vogt and Brungardt returned to the line on Saturday for the final race of the weekend. The duo posted a first-run start time of 5.90 seconds to post a final first-run time of 58.13 seconds. They second-run of 58.60, when added to their first-run time, secured the total time of 1:56.73 and the bronze medal. 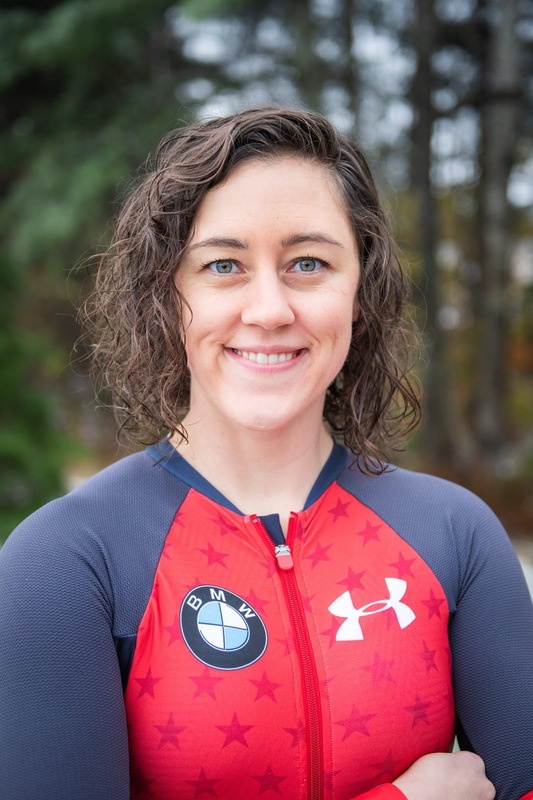 The Dallas native was quoted in a USA Bobsled and Skeleton Federation post-race press release. "Nothing about this season has gone how I'd planned. I've been fighting lots of mental battles this year and working to remain positive. Thank you to God for these opportunities to compete for Team USA, every woman who has gotten in my sled, (Mike) Dionne and (Nick) Cunningham who have been great coaches, and my parents who keep encouraging me. I'm looking forward to joining the World Cup team in Lake Placid in February." Vogt will be racing her first World Cup of the season in Lake Placid, N.Y. in February when the tour comes to North America.